What is an International Intensive Training? This International Intensive Training (IIT) is a 9-day, Nonviolent Communication “immersion experience.” It is a residential workshop led by a team of experienced CNVC certified trainers. The purpose of this IIT training is to offer people the opportunity to live the process of Nonviolent Communication in community over an extended period of time, in order to develop Nonviolent Communication knowledge, skills and consciousness. Seminar language is English with translation into German. All seminar material will be available in English and German. The organizers are available for all communication either in English or in German. Was ist ein Internationales Intensiv Training? Ein International Intensive Training (IIT) ist eine 9tägige Vertiefung in die Gewaltfreie Kommunikation. Es wird von einem Team von erfahrenen, CNVC-zertifizierten Trainer*Innen geleitet. Das Ziel eines IITs ist, den Menschen die Gelegenheit zu bieten, den Prozess der Gewaltfreien Kommunikation in der Gemeinschaft mit anderen über einen längeren Zeitraum zu leben und ihre Kenntnisse, Fähigkeiten und das Bewusstsein der Gewaltfreien Kommunikation zu entwickeln. Die Seminarsprache ist Englisch mit deutscher Übersetzung. Die Seminarunterlagen werden sowohl in Englisch als auch in Deutsch zur Verfügung gestellt. Die deutschsprachigen Organisatorinnen stehen für Klärungen zur Verfügung. What is special about this IIT? 2019 is a special year for people in Germany, Europe (in particular Eastern Europe) and the world: 80 years ago, in 1939, Germany began with the occupation of Poland, which caused the Second World War. 30 years ago, in 1989, the wall that devided Germany has fallen, countries in Eastern Europe usually found non-violent ways to create a new social path in their countries. This IIT will be particularly refer to these experiences. It will be the first IIT in Eastern Germany and will be offer at least two slots focussed on the healing of (intergenerational) pain associated with the second World War, the Holocaust and reconciliation. We also want to celebrate, that people in most European countries have no longer experienced war at first hand. IITs pursue the goal of creating an opportunity to support the process of NVC to live in community over a longer period of time in order to develop the ways of thinking and to develop practical tools, which you can use in four areas: personal & professional relationships, inner transformation, reconciliation & healing of (inherited and present) pain, and social change. We intend to contribute to these four areas from the current IIT curriculum. And, as always, there is also room for co-creation. Was ist das Besondere an diesem IIT? 2019 ist ein besonderes Jahr für Menschen in Deutschland, Europa (insbesondere Osteuropa) und der Welt: Vor 80 Jahren, 1939, besetzte Deutschland Polen, was den Zweiten Weltkrieg verursachte. Vor 30 Jahren, 1989, fiel die Mauer, die Deutschland zuvor teilte, Länder in Osteuropa fanden meist gewaltfreie Wege, einen neuen gesellschaftlichen Weg einzuschlagen. Dieses IIT wird sich besonders diesen Erfahrungen widmen. Es ist das erste IIT in Ostdeutschland und wird mindestens zwei Reihen anbieten, in denen es um die Heilung von (generationsübergreifenden) Schmerzen im Zusammenhang mit dem Zweiten Weltkrieg, dem Holocaust und der Versöhnung geht. Wir wollen auch feiern, dass die Menschen in den meisten europäischen Ländern seit zwei Generationen keinen Krieg mehr am eigenen Leibe erlebt haben. IITs verfolgen das Ziel eine Möglichkeit zu schaffen, den Prozess der GFK über einen längeren Zeitraum in Gemeinschaft zu leben, um die Denkweisen und praktischen Werkzeuge zu entwickeln, die Ihnen in vier Bereichen helfen: Persönliche und berufliche Beziehungen, Innere Transformation, Versöhnung und Heilung von (vererbten und gegenwärtigen) Schmerzen sowie zum gesellschaftlichen Wandel beitragen.Wir beabsichtigen, diese vier Bereiche aus dem gängigen IIT-Lehrplan zu priorisieren. Und es gibt wie immer auch Raum für Mitgestaltung. Making the world a more compassionate place through nonviolent communication. The CNVC ( Center for Nonviolent Communication) was founded by Marshall Rosenberg and is an organization that connects certified trainers from all over the world. As a global organization, it shares information, projects, training opportunities and a shop on its website. The CNVC accompanies people on their way to becoming a trainer for nonviolent communication and issues a certification. The CNVC is the guardian of the IIT’s. Die Welt durch Gewaltfreie Kommunikation zu einem mitfühlenderen Ort machen. Das CNVC (Internationales Zentrum für Gewaltfreie Kommunikation) wurde von Marshall Rosenberg gegründet und ist seitdem eine Organisation, die zertifizierte Trainer*innen aus aller Welt verbindet. Als globale Organisation teilt es auf seiner Webseite Informationen, Projekte, Trainingsangebote und einen Shop. Das CNVC begleitet Menschen auf ihrem Weg zum Trainer/zur Trainerin für Gewaltfreie Kommunikation und stellt eine Zertifizierung aus. Das CNVC ist der Hüter der IIT’s. To the question: “What kind of IIT would the team like to create?” Jan replied “The best IIT ever” ;-). In the further conversation two aspects particularly stood out, which are close to the team’s heart. Firstly, there is no lead trainer at this IIT. The IIT is led by a trainer team. Decisions are made together. There is exchange and coordination in all areas. Furthermore the team wants to act in all activities and decisions out of love and not fear. In order for this to succeed, special attention is be paid to that. 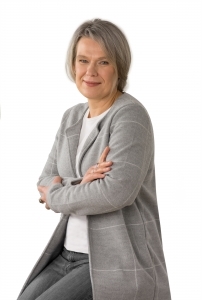 Annett Zupke has been working with international groups for 20 years on cross cultural communication. In the past 9 years, her work has been mainly grounded in the spirit of NVC and she is certified with the CNVC. As a trainer and conflict coach/mediator she worked in a wide spectrum of environments (corporates, NGOs, schools, prisons, spiritual groups, couples, families…) Her passion lies in creating spaces where people can move through grievances for deeper connection with self, others and life itself. She has facilitated healing circles in different contexts such as schools and universities after incidents of suicide and sexual abuse as well as in an international grass roots online community after an escalated conflict required deep listening for re-weaving connection and trust. About eight years ago, she learned about Restorative Circles as developed in Brasil and found her way to Restorative Justice. As a facilitator of restorative dialogues, her work now often comprises working with both sides, survivors and offenders alike as well as their respective communities. Annett’s passion lies in the transformational power of NVC, the exploration of conflicts and how to move through them knowing that they are just another portal to deeper connection and the holding spaces for dialogues where the power of vulnerability can unfold. 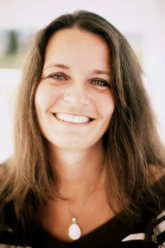 Together with colleagues in Germany, she leads several residential workshops on NVC and Living Compassion to create learning environments where depth, playfulness, compassion, laughter and tears can flow easily. She loves traveling, being in nature and with friends and family. Irmtraud Kauschat works as a medical doctor and has given NVC trainings in different countries, including Serbia/Croatia, Kenya and more recently Israel/Palestine and Ukraine. Irmtraud has expertise in reconciliation between warring groups like in former Yugoslavia (in 1996 especially with youth from Serbia and Croatia), in Kenya with different communities that had been affected by the post-election violence in 2007/208, as well as with two tribes from the north that had been at war with each other for about 30 years and most recently with people from Israel/Palestine and Ukraine . When she heard Marshall talk about his experiences in Israel/Palestine and Northern Ireland she was very enthusiastic about the impact NVC could have on people’s lives and her vision was to contribute to peacebuilding in a similar way. This vision has come true. Peace is a very important topic for her since her childhood when she saw ruins in Frankfurt after World War 2 and witnessed the broadcasting of the Auschwitz process in her teenage years, when she was confused getting to know that the very same people who killed Jewish children and parents were described as loving parents themselves. She had organized and been a trainer in the first IIT in Africa in 2013 and a second one in 2017. 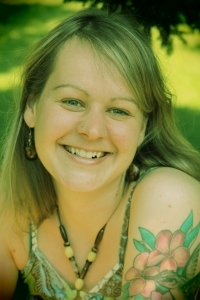 She is a founding member and chairperson of her local circle in Darmstadt as well as of the German speaking network: D-A-CH and served as a member of GCC (NVC Global Community Circle) and coordinator of the EAC (English speaking NVC European. African Circle). From January 2012 till October 2013 she served as a member of the CNVC board. She has been announced as assessor in June 2017. She has co-authored two books with NVC exercises. Born in 1943 in The Hague, Netherlands, Jan van Koert fell in 1945 “victim’ to the bombing of the district he lived in. His father was in hiding for the Germans soldiers and his mother fled in panic by foot, together with the elder three kids, to the nearest village. Later on the family had 8 children in total. Since then, he found out later, his needs for safety and security were top priority which drew his life. In 1998 he met NVC which started slowly to change his life and his behaviour. A never ending learning process as he states. As a NVC certified trainer from 2002 he facilitates trainings and workshops for over 130 days per year. His experience covers working with o.a. judges, prosecutors, mediators (he is one himself), lawyers, healthcare, politicians, business(wo)men, consultants, police and military. In short, many different Human Beings. In South Africa, Military in Sierra Leone, Kenya (sometimes together with Irmtraud), Ukraine and Syrian politicians from the joint opposition parties in Turkey. He has a great passion for NVC Mediation, healing and reconciliation and is happily willing to share his personal experiences in this area. In 2007 he published book on NVC which is now its 13th print edition. Unluckily not translated into English. Two other books are in the pipeline. Giorgos Tsitsirigos was born in Greece long after the chronological end of WWII but well within the pain spectrum of its ramifications. As a child he heard stories by his parents about the war, the greek civil war that followed and the military dictatorship, a fruit of the post-war era. Most importantly he experientially received part of the pain that all those events inflicted to his family psyche, getting from an early age in the cycle of wounding and healing. As a young adult he decided to start his journey of self knowledge having the deeper longing to enjoy his life freely and deeply. On one of his footsteps he encountered Nonviolent Communication, which became a steady companion in his path by giving him the gift of the clear and honest expression of his heart, the art of being with others and standing by them and the deep joy of liking and loving humanity. He has been sharing NVC since 2011. In 2017 he certified with CNVC. He has translated Marshall’s book “A language of life” into Greek, posted extended NVC material on the internet and served as the organiser of the first IIT in Greece (October 2017). Part of his experience lies in group collaboration and conflict management, while he is also focused on men’s groups. He has worked with students of all ages in sharing a nonviolent approach on personal and social matters. He enjoys sharing NVC by sensing the dynamics of each group and through physical movement, music, dancing and singing. He has studied and practiced pharmacy in Greece and England. Auf die Frage: “Was für ein IIT das Team denn kreieren möchte?”, antwortete Jan “Das beste IIT aller Zeiten!” ;-). Im weiteren Gespräch stachen zwei Aspekte besonders hervor, die dem Team am Herzen liegen. Zum einen gibt es bei diesem IIT keinen Haupttrainer. Das IIT wird von einem Trainer*innen Team geleitet. Entscheidungen werden gemeinsam getroffen. Es gibt zu allen Bereichen Austausch und Abstimmung. Zum anderen möchte das Team bei allen Aktivitäten und Entscheidungen jeweils aus Liebe und nicht aus Angst heraus agieren. Damit dies gelingt, liegt darauf eine besondere Achtsamkeit. Annett Zupke arbeitet seit 20 Jahren mit internationalen Gruppen im Bereich der interkulturellen Kommunikation zusammen. In den letzten 9 Jahren gründet sich ihre Arbeit hauptsächlich im Geiste der Gewaltfreien Kommunikation und sie ist CNVC zertifziert. Als Trainerin und Konfliktcoach/Mediatorin arbeitet sie in einem breiten Umfeld (Unternehmen, NGOs, Schulen, Gefängnisse, spirituelle Gruppen, Paare, Familien…). Ihre Leidenschaft liegt darin, Räume zu schaffen, in denen Menschen sich durch Schmerzen bewegen können, um eine tiefere Verbindung mit sich selbst, anderen und dem Leben selbst herzustellen. Sie hat Heilkreise in verschiedenen Kontexten wie Schulen und Universitäten u.a. nach Selbstmord und sexuellem Missbrauch als auch in einer internationalen Basis-Online-Community moderiert, nachdem ein eskalierter Konflikt tiefes Zuhören für die Wiederherstellung von Verbindung und Vertrauen erforderte. Vor etwa acht Jahren erfuhr sie von den in Brasilien entwickelten Restorative Circles und fand den Weg zur Restorative Justice. Als Moderatorin von restaurativen Dialogen umfasst ihre Arbeit heute oft auch die Arbeit mit beiden Seiten, Überlebenden und Tätern sowie deren jeweiligen Gemeinschaften. Annetts Leidenschaft liegt in der transformatorischen Kraft der Gewaltfreien Kommunikation, der Erforschung von Konflikten und wie man sich durch sie bewegen kann, in dem Wissen, dass sie nur ein weiteres Portal zu tieferen Verbindungen sind und die Räume für Dialoge, in denen sich die Macht der Verletzlichkeit entfalten kann. Zusammen mit Kollegen in Deutschland leitet sie mehrere Workshops über GFK und Living Compassion, um Lernumgebungen zu schaffen, in denen Tiefe, Verspieltheit, Mitgefühl, Lachen und Tränen leicht fließen können. Sie liebt es zu reisen, in der Natur zu sein und Zeit mit ihren Freunden und ihrer Familie zu verbringen. Irmtraud Kauschat arbeitet als Ärztin und gibt GFK-Trainings in verschiedenen Ländern, wie zum Beispiel in Serbien/Kroatien, Kenia, Israel/Palästina und in der Ukraine. Irmtraud ist Expertin für Versöhnungsarbeit zwischen sich bekriegenden Gruppen wie im ehemaligen Jugoslawien (1996 vor allem mit Jugendlichen aus Serbien und Kroatien), in Kenia mit verschiedenen Gemeinschaften, die vom Bürgerkrieg nach den Wahlen 2007/2008 betroffen waren und auch mit zwei Stämmen aus dem Norden, die 30 Jahre lang miteinander im Krieg waren und darüber hinaus mit Menschen aus Israel und Palästina und der Ukraine. Als sie hörte, wie Marshall über seine Erfahrungen in Israel/Palästina und Nordirland sprach, war sie ganz begeistert von den Auswirkungen, die die GFK auf das Leben der Menschen haben könnte, und ihre Vision war es, auf ähnliche Weise zur Friedensförderung beizutragen. Diese Vision ist wahr geworden. Frieden ist ein sehr wichtiges Thema für sie seit ihrer Kindheit: Nach dem 2. Weltkrieg sah sie die Ruinen in Frankfurt und hörte in ihren Teenagerjahren im Radio die Auschwitz-Prozesse, war verstört, dass dieselben Leute, die jüdische Kinder und deren Eltern töteten, dort selbst als liebende Eltern beschrieben wurden. 2013 war sie Organisatorin und Trainerin beim ersten IIT in Afrika und beim zweiten im Jahr 2017. 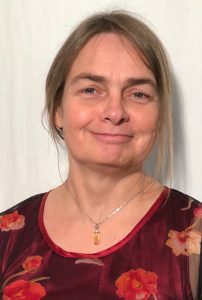 Sie ist Gründungsmitglied und Vorsitzende ihres lokalen Kreises in Darmstadt sowie des deutschsprachigen Netzwerks D-A-CH und war Mitglied des GCC (NVC Global Community Circle) und Koordinatorin des EAC (englischsprachiger europäisch-afrikanischer Kreis für GFK). Von Januar 2012 bis Oktober 2013 war sie Mitglied des CNVC-Vorstands. Juni 2017 wurde sie als Assessorin bekannt gegeben. Zusammen mit einer Kollegin verfasste sie zwei Bücher mit GFK-Übungen. Geboren 1943 in Den Haag, Niederlande, wurde Jan van Koert 1945 “Opfer” der Bombardierung des Bezirks, in dem er lebte. Sein Vater versteckte sich vor den deutschen Soldaten und seine Mutter floh in Panik zu Fuß, zusammen mit den älteren drei Kindern, in das nächste Dorf. Später hatte die Familie insgesamt 8 Kinder. Seitdem, wie er später herausfand, hat sein Bedürfnis nach Sicherheit und Schutz oberste Priorität und prägte sein Leben. 1998 lernte er die Gewaltfreie Kommunikation kennen, die langsam begann, sein Leben und sein Verhalten zu verändern. Ein endloser Lernprozess, wie er sagt. Als GFK-zertifizierter Trainer führt er seit 2002 an über 130 Tagen im Jahr Schulungen und Workshops durch. Seine Erfahrung umfasst u.a.die Arbeit mit Richtern, Staatsanwälten, Mediatoren (er ist selbst einer), Anwälten, Gesundheitspersonal, Politikern, Geschäftsleuten, Beratern, Polizei und Militär – kurz gesagt vielen unterschiedlichen Menschen. Er trainiert nicht nu in seiner Heimat, sondern auch in Südafrika, beim Militär in Sierra Leone, auch in Kenia (manchmal zusammen mit Irmtraud), in der Ukraine und bei syrischen Politikern aus den gemeinsamen Oppositionsparteien in der Türkei. Er hat eine große Leidenschaft für GFK Mediation, Heilung und Versöhnung und ist gerne bereit, seine persönlichen Erfahrungen in diesem Bereich zu teilen. Im Jahr 2007 veröffentlichte er ein Buch über GFK, das nun die 13. gedruckte Ausgabe ist. Leider ist das Buch bislang noch nicht ins Englische übersetzt. Zwei weitere Bücher sind in Vorbereitung. Anfang 2018 übergab die Leitung seines GFK-Unternehmens an andere und hat z.ZT. noch keine eigene, persönliche Website. Giorgos Tsitsirigos wurde lange nach dem Ende des Zweiten Weltkriegs in Griechenland geboren, weit entfernt vom Schmerzspektrum seiner Auswirkungen. Als Kind hörte er von seinen Eltern Geschichten über den Krieg, dem folgenden griechischen Bürgerkrieg und die Militärdiktatur, eine Frucht der Nachkriegszeit. Am wichtigsten ist, dass er einen Teil des Schmerzes, den all diese Ereignisse seiner Familienpsyche zufügten, erfuhr, indem er von einem frühen Alter an in den Zyklus der Verwundung und Heilung eintrat. Als junger Erwachsener beschloss er, seine Reise der Selbsterkenntnis zu beginnen, mit der tieferen Sehnsucht, sein Leben frei und tief zu genießen. Auf einem seiner Schritte begegnete er der Gewaltfreien Kommunikation, die zu einem ständigen Begleiter auf seinem Weg wurde, indem sie ihm die Gabe des klaren und ehrlichen Ausdrucks seines Herzens, der Kunst, mit anderen zusammen zu sein und zu ihnen zu stehen, und der tiefen Freude, die Menschheit zu mögen und zu lieben, gab. Er teilt NVC seit 2011. Im Jahr 2017 zertifizierte er bei CNVC. Er hat Marshalls Buch “A language of life” ins Griechische übersetzt, erweitertes NVC-Material ins Internet gestellt und war Organisator des ersten IIT in Griechenland (Oktober 2017). Ein Teil seiner Erfahrung liegt in der Gruppenarbeit und im Konfliktmanagement, aber auch in der Arbeit mit Männergruppen. Er hat mit Schülern aller Altersgruppen zusammengearbeitet, um einen gewaltfreien Ansatz in persönlichen und sozialen Fragen zu teilen. Er genießt es, NVC zu teilen, indem er die Dynamik jeder Gruppe wahrnimmt und durch körperliche Bewegung, Musik, Tanz und Gesang. Er hat in Griechenland und England Pharmazie studiert und praktiziert. The assessors inform people who want to go on the path of certification by the CNVC about the procedures. They help to find a suitable assessor. Certification candidates have the opportunity to receive feedback and coaching. Kathleen holds a vision for a peaceful, just and sustainable world. 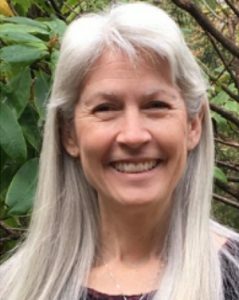 She has worked as a Certified Trainer for the Center for Nonviolent Communication (CNVC) since 2003 and is an assessor for CNVC certification candidates. Community system building and conflict transformation are passions of hers. and visioning how each person can contribute to a world that works for all. Kathleen has worked with organizations and individuals including businesses, schools, colleges, community groups, faith-based communities, hospitals, families, prison inmates, and correctional and law enforcement employees. She serves as a lead trainer for the Freedom Project of Seattle, an organization that strengthens community safety by supporting the transformation of prisoners into peacemakers. Kathleen offers trainings, facilitation, system building and mediation using practical skills that lead to reconciliation with ourselves, our loved ones and our communities. For over 30 years Kathleen has explored ways to restore harmony to communities including two decades as a music conductor and leader of a nonprofit organization, and seven years as a public school teacher. Her website is http://www.StrengthofConnection.com where her two TEDx talks can be found. Doctor of General Medicine, Practice of Chinese Medicine, I live NVC in my medical practice and as a coach. I give workshops, especially in Darmstadt, Kenya, Iceland, Israel and Palestine and Ukraine. NVC supports me to meet myself and others with a respectful attitude and to contribute to peace inside and outside of me. One of my focal points is reconciliation work in all areas. I have been accompanying people on their way to certification as a mentor for years, so it was fitting for me as an assessor to walk this path together with them all the way to the assessment. In particular, I would like to support candidates in countries which, for economic reasons, find it difficult to follow the path to certification. Die Assessorinnen informieren Menschen, die sich auf den Weg der Zertifizierung durch das CNVC machen wollen, über die Abläufe. Sie unterstützen darin, eine passende Assessorin oder Assessorin zu finden. Zertifizierungskanditat*innen haben die Möglichkeit Feedback und Coaching zu erhalten. Kathleen engagiert sich für ihre Vision einer friedlicheren, gerechten und nachhaltigen Welt. Sie arbeitet seit 2003 als zertifizierte Trainer (CNVC) und ist Assessorin für CNVC-Zertifizierungskandidaten. und die Vision, wie jede Person zu einer Welt beitragen kann, die für alle funktioniert, gemeinsam erkundet. Kathleen hat mit Organisationen und Einzelpersonen zusammengearbeitet, darunter Unternehmen, Schulen, Colleges, Gemeindegruppen, religiöse Gemeinschaften, Krankenhäusern, Familien, Gefängnisinsassen sowie Strafvollzugs- und Strafvollzugsmitarbeiter. Sie fungiert als Leadtrainerin für das Freedom Project of Seattle, eine Organisation, die die Sicherheit der Gemeinschaft stärkt, indem sie die Umwandlung von Gefangenen in Friedensstifter unterstützt. Kathleen bietet Trainings, Moderationen, Systembau und Mediationen an, wo sie praktische Methoden vermittelt, die zur Versöhnung mit uns selbst, unseren Lieben und unseren Gemeinschaften führen. 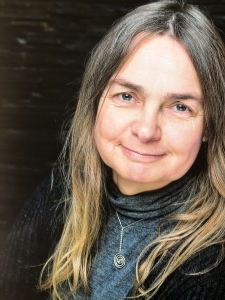 Seit über 30 Jahren erforscht Kathleen Wege, um die Harmonie in den Gemeinden wiederherzustellen, darunter zwei Jahrzehnte als Musikdirigentin und Leiterin einer gemeinnützigen Organisation und sieben Jahre als Lehrerin an öffentlichen Schulen. Ihre Website ist http://www.StrengthofConnection.com, wo ihre beiden TEDx-Vorträge sind zu finden. Ärztin für Allgemeinmedizin, Praxis für Chinesische Medizin, ich lebe die GFK-Haltung in meiner Praxis und als Coach und gebe Kurse, vor allem in Darmstadt, Kenia, Island, Israel und Palästina sowie der Ukraine. Die GFK unterstützt mich, mir und anderen mit einer wertschätzenden Haltung zu begegnen und damit zu Frieden in mir und im Außen beizutragen. Einer meiner Schwerpunkte ist Versöhnungsarbeit in allen Bereichen. Ich begleite seit Jahren Menschen als Mentorin auf ihrem Weg zu Zertifizierung, da passte es für mich, als Assessorin diesen Weg gemeinsam mit ihnen bis ins Assessment zu gehen. Ich möchte insbesondere die Kandidat*innen in Ländern unterstützen, die es aus ökonomischen Gründen schwer haben, den Weg zur Zertifizierung zu gehen. The assistant trainer is supporting the trainer team by offering workshop sessions. She is also ready to give feedback to certification candidates. I’m Marta Kułaga. I live in Cracow, Poland. The history of this region, painful history of World War II and Cold War, communist regime is the history that left a lot of scars in me and my family. I see how much resentment and pain is still alive in people. told and heard, acknowledgement of experience as a path to connection and peace. And in broader context – both peace and war starts in my heart, so I wish to work both on personal and social level to bring the change and create the world that works for all. I do believe that thanks to NVC we can shift our attidute towards conflicts and learn to meet them with trust and opennes. I do want to grow into confidence that conflicts brings alivness nad serve us even when I’m in the place of “not knowing” about how to proceed. I’m very inspired by the work of Duke Duchscherer with conflicting groups and communities and his words When people are willing to walk toward their conflicts, acknowledge their differences, and dialogue together, magic happens. I wish to inspire people into learning restorative practises and expanding their capacity to embrace conflict. During IIT I wish to offer individual support to transform past and present pain, to work with enemy images, to mediate conflicts and to offer workshops on anger, shame and guilt, mourning and expressing regrets about what happened in the past. Die Assisntezntrainerin unterstützt das Trainerteam, indem sie Workshop-Sessions anbietet. Sie ist zudem bereit Feedback für Zertifizierungskandidat*innen zu geben. Ich bin Marta Kułaga. Ich lebe in Krakau, Polen. Die Geschichte dieser Region, die schmerzhafte Geschichte des Zweiten Weltkriegs und des Kalten Krieges, das kommunistische R egime ist die Geschichte, die viele Spuren in mir und meiner Familie hinterlassen hat. Ich erlebe, wieviele Ressentiments und Schmerzen bei den Menschen noch lebendig sind. Ich betrachte Heilung und Versöhnung als Prozesslosigkeit in der Zeit, wie eine Spirale, wir könnten immer tiefer und tiefer gehen, auf persönlicher und sozialer Ebene. Das IIT bietet einen Raum, in dem persönliche Geschichten vollständig erzählt und gehört werden. Die Anerkennung dieser Erfahrung ist ein Weg zu Verbindung und Frieden. Und im weiteren Kontext – sowohl Frieden als auch Krieg beginnen in meinem Herzen, deshalb möchte ich sowohl auf persönlicher als auch auf sozialer Ebene arbeiten, um den Wandel herbeizuführen und die Welt zu erschaffen, die für alle funktioniert. Ich glaube, dass wir dank der Gewaltfreien Kommunikation uns Konflikten zuwenden und lernen können, ihnen mit Vertrauen und Offenheit zu begegnen. Ich möchte zu der Überzeugung gelangen, dass Konflikte Lebendigkeit bringen und uns dienen, auch wenn ich manchmal keine Klarheit über das weitere konkrete Vorgehen habe. Ich möchte Menschen dazu inspirieren, restaurative Praktiken zu erlernen und ihre Fähigkeit zur Konfliktbewältigung zu erweitern. Während des IIT möchte ich individuelle Unterstützung anbieten, um vergangene und gegenwärtige Schmerzen zu transformieren, mit Feindbildern zu arbeiten und in Konflikten zu vermitteln. Zudem mag ich Workshops über Wut, Scham und Schuld, Trauer und Bedauern über das Geschehene in der Vergangenheit anbieten. The certified trainers are ready to give feedback to certification candidates. In addition, they also offer coaching sessions to support their personal development. to provide individual coaching sessions for certification candidates. I have been accompanying people in their personal processes as a coach for years. This 1-to-1 constellation allows deep immersion in topics, a period of time to look at which aspects might prevent you from fully unfolding your unique talents. I like to transform core beliefs, listen to the concerns of the inner critic or develop life-sustaining strategies for nurturing needs. My name is Magdalena Kosicka – Leszczyńska. I live in Zamość, south east of Poland. It is a little town, 60.000,00 of people and in this little town during the World War II we had three War Camps, and one of them was speciall – only for children. And in our town people are still in the energy of fear and helplesness. When I work with people the War traumas come back. They are still present in our bodies and minds. It comes out especially during workshops and individual work with women – the fear and pain we got from grandmas and mothers appears and affects present relations. I say „we” because it is also the story of my family and I am aware of where lots of my emotions come from, what the mechanism is. I was working with healing myself and still it is alive in me. So it is about my own piece of personal work. And working with people I see how deeply all of this affects peoples lives, present choices, how the whole society needs healing. So the IIT will be for me opportunity to depen my abilities of healing war traumas. I believe, and this is also my experience, that working with empathy and healing we can wake up our awarness why we do what we do, open hearts for other people, understand them and find a way for buliding world together- with mutual openess, understanding and care. Believing that I want to inspire people to deal with pain and transform it. During IIT I may offer working with conflicts – as mediation, or dealing with group conflicts and also as individual work with healing in relations and coaching in conflict situations. I am open to suport people in pain and can help in making choices. Die zertifizierten Trainerinnen sind bereit Feedback für Zertifizierungskandidat*innen zu geben. Zusätzlich bieten sie diesen auch Coachingsessions an, um sie in ihrer persönlichen Entwicklung zu unterstützen. einzelne Coachingsessions für Zertifizierungskandidat*innen zu geben. Ich begleite seit Jahren als Coach Menschen in ihren persönlichen Prozessen. Diese 1-zu-1 Konstellation ermöglicht tiefes Eintauchen in Themen, ein Zeitraum zu schauen, welche Aspekte vielleicht daran hindern, in die volle Entfaltung der jeweils einzigartigen Talente zu gelangen. Gerne transformiere ich Glaubenssätze, lausche den Anliegen des inneren Kritikers oder entwickele gemeinsam lebensdienliche Strategien für das Nähren der Bedürfnisse. Mein Name ist Magdalena Kosicka – Leszczyńska. Ich wohne in Zamość, im Südosten Polens. Es ist eine kleine Stadt 60.000 Menschen und in dieser kleinen Stadt gab es während des Zweiten Weltkriegs drei Kriegslager, und eines davon war speziell nur für Kinder. In unserer Stadt sind die Menschen immer noch in der Energie von Angst und Hilflosigkeit. Wenn ich mit Menschen arbeite, kommen die Kriegstraumata zurück. Sie sind immer noch in unserem Körper und Geist vorhanden. Es kommt besonders bei Workshops und individueller Arbeit mit Frauen zum Vorschein – die Angst und der Schmerz, den wir von Großmüttern und Müttern unbewusst übernommen haben, treten auf und beeinflussen die gegenwärtigen Beziehungen. Ich sage “wir”, weil es auch die Geschichte meiner Familie ist und ich weiß, woher viele meiner Emotionen kommen und was ihr Mechanismus ist. Ich habe damit gearbeitet, um mich selbst zu heilen, und trotzdem ist es in mir lebendig. In der Arbeit mit Menschen sehe ich, wie sehr sich das alles auf das Leben der Menschen auswirkt, wie sie auf dieser Grundlage Entscheidungen treffen und wie die ganze Gesellschaft Heilung braucht. Ich glaube, und das ist auch meine Erfahrung, dass wir bei der Arbeit mit Empathie und Heilung unsere Erkenntnis wecken können, warum wir tun, was wir tun, Herzen für andere Menschen öffnen, sie verstehen und einen Weg finden, die Welt gemeinsam aufzubauen – mit gegenseitiger Offenheit, Verständnis und Fürsorge. Ich glaube, dass ich Menschen inspirieren will, mit Schmerzen umzugehen und diese zu transformieren. Während des IIT kann ich die Arbeit mit Konflikten anbieten – als Mediation, oder den Umgang mit Gruppenkonflikten und auch als Einzelarbeit mit Heilung in Beziehungen und Coaching in Konfliktsituationen. Ich bin offen für die Unterstützung von Menschen mit Schmerzen und kann helfen, neue Entscheidungen zu treffen. The IIT is traditionally held in English. Since part of the focus is on inner-German reconciliation, we have decided to translate the plenary meetings and individual workshops into German. Two full-time interpreters are available for this purpose. If you know people who speak neither German nor English, who have the topic of reconciliation between Eastern and Western Europe at the same time very close to their hearts and need translation into Russian, Ukrainian… please contact the organizer and we will see if we can make something possible. My name is Nadine Helm, I have been familiar with non-violent communication since 2004 and my life is so richly rewarded by it. At the moment I am in Amsterdam and share NVC there in weekly courses or weekend seminars with participants. IIT’s are special to me, because I enjoy meeting people with various backgrounds and it fills me with deepest joy to know that the heart of NVC is carried into the whole world. I am touched by the different people, their motives and stories, as well as the variety of interests and projects with NVC in which the people are involved. It fills me with joy, hope and confidence. I like working in a team and getting to know the different trainers and approaches at the IIT’s and finally I feel connected with Marshall and it is precious to me to carry on these trainings in his sense. I consider interpreting to be a special honour. I feel rewarded at the thought of expressing sensitively, empathetically and powerfully what the participants experience deep within themselves. Thank you for your trust. I am already looking forward to being together. I work as a NVC trainer and health practicioner. I am a translator at IITs for years, and they are always big highlights of the year for me, because so much community, learning and meaning gets fulfilled. Translating gives me an opportunity to contribute in a way, that I particularly enjoy. Preciseness and magic of words have always fascinated me. To connect completely, not only with the spoken words, but also with the whole human being and their spirit, to capture it and to convey it into a different language – this is deep and fulfilling meditation for me. I am already looking forward to meeting new faces and new hearts. Das IIT wird traditionellerweise in Englisch gehalten. Da ein Teil des Fokus auf innerdeutscher Versöhnung liegt, haben wir uns entschieden, die Versammlungen im Plenum sowie einzelne Workshops ins Deutsche zu übersetzen. Dazu stehen zwei Dolmetscherinnen in Vollzeit zur Verfügung. Wenn ihr Menschen kennt, die weder deutsch noch englisch sprechen, denen das Thema Versöhnung zwischen Ost- und Westeuropa gleichzeitig sehr am Herzen liegt und sie Übersetzung ins russische, ukrainische…..benötigen, wendet Euch bitte an die Organisatorin und wir schauen, ob wir etwas ermöglichen können. Mein Name ist Nadine Helm, ich bin seit 2004 mit der Gewaltfreien Kommunikation vertraut und mein Leben wird durch sie so reich beschenkt. Momentan bin ich Amsterdam und teile dort auch die GFK in wöchentlichen Kursen oder Wochenendseminaren mit Teilnehmerinnen. IIT’s sind für mich besonders, weil ich es genieße auf verschiedenste Menschen mit den unterschiedlichsten Hintergründen zu treffen und es erfüllt mich mit tiefster Freude zu wissen, dass das Herz der GFK in die ganze Welt getragen wird. Mich berühren die unterschiedlichen Menschen, Ihre Beweggründe und Geschichten, als auch die verschiedenen Interessen und Projekte mit GFK in denen sich die Menschen engagieren. Es erfüllt mich mit Freude, Hoffnung und Zuversicht. Mir gefällt das Arbeiten im Team und die verschiedenen TrainerInnen und Ansätze auf dem IIT’s kennenzulernen und letztendlich fühle ich mich verbunden mit Marshall und es ist mir kostbar diese Trainings in seinem Sinne weiterzutragen. Das Dolmetschen erachte ich als eine besondere Ehre. Ich fühle mich beschenkt bei dem Gedanken daran, dem, was die TeilnehmerInnen tief in Ihrem Inneren erleben, sensibel, einfühlsam und kraftvoll Ausdruck zu verleihen. Danke für das Vertrauen. Ich freue mich schon auf das Zusammensein. Ich arbeite als GFK-Trainerin und Heilpraktikerin. Die IITs, die ich seit Jahren mit übersetze sind für mich immer echte Höhepunkte des Jahres, weil sich so viel Gemeinschaft, Lernen und Sinn erfüllt. Das Übersetzen gibt mir dabei eine Möglichkeit zum Beitragen, die ich besonders genieße. Genauigkeit und Magie der Worte haben mich schon immer fasziniert. Mich ganz zu verbinden, nicht nur mit den gesprochenen Worten, sondern auch mit dem ganzen Menschen und seinem Geist, ihn zu erfassen und in eine andere Sprache zu transportieren – das ist tiefe und erfüllende Meditation für mich. Ich freue mich schon, neue Gesichter und neue Herzen kennenlernen zu dürfen. Danielle is excited to be part of the CNVC team again after a 6 year break. She is back at the IIT desk which she missed. She speak Dutch, English, some German and French and is looking forward to serving the worldwide NVC community with their training needs. During her break Danielle ran a B&B, hosting guests from around the world, and she worked at an accounting office. She will apply these new skills to her work with IITs. I love to create spaces where people meet each other. That’s why I like to organize events like NVC Days or the DACH Congress in addition to my professional activity as a trainer for Nonviolent Communication (cert. CNVC). Annett and Irmtraud asked me to organize the IIT 2019 in Lehesten. I have taken on this task because the topic touches me personally. My father’s family comes from Eastern Europe and has experienced flight and had to find a new home. The traumatisation of my parents, the war children, had an influence on my life. Belonging was an important topic at home: Better not to attract attention – it was safer to adapt! We children then rebelled against that, which was also an entanglement. For some time now I have been working intensively on the topic of “the effects of trauma” and healing ways to new possibilities. So the inquiry came just in an appropiate moment. I am deeply convinced that community opens special, unique possibilities. I see my role as a host who helps to create a warm and safe place where learning, development, healing through connection is possible. I’m looking forward to bringing German hospitality, as I experienced and received it from my foremothers, into these days and I’m also available for empathy seesions. 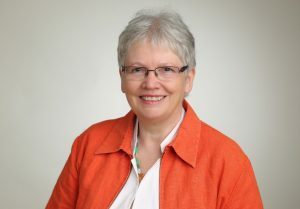 I’m Diane , a heartfelt concern of mine is to bring nonviolent communication in the world. I really like the closeness in real workshops and seminars, and I also see that we reach a lot more people over the internet. In order to reach as many people as possible, I deal with marketing strategies and fundraising. With these skills, I also like to support the IIT. Because I think it’s a great thing to bring NVC into the world, and because I enjoy working in teams, it fills me with community, belonging, fun, meaningfulness, connection and joy. Danielle freut sich, nach einer 6-jährigen Pause wieder Teil des CNVC-Teams zu sein. Sie ist wieder am IIT-Schalter, den sie vermisst hat. Sie spricht Niederländisch, Englisch, etwas Deutsch und Französisch und freut sich darauf, die weltweite NVC-Community bei ihrem Trainingsbedarf zu unterstützen. Während ihrer Pause leitete Danielle ein B&B mit Gästen aus der ganzen Welt und arbeitete in einem Buchhaltungsbüro. Sie wird diese neuen Fähigkeiten in ihrer Arbeit mit IITs anwenden. Ich liebe es Räume zu schaffen, in denen Menschen sich begegnen. Daher organisiere ich neben meiner hauptberuflichen Tätgikeit als Trainerin für Gewaltfreie Kommunikation (zert. nach CNVC) gerne Veranstaltungen wie GFK Tage oder den DACH-Kongress. Annett und Irmtraud haben mich gebeten das IIT 2019 in Lehesten zu organisieren. Ich habe mich dieser Aufgabe angenommen, weil mich das Thema persönlich berührt. Meine Familie väterlicherseits stammt aus Osteuropa und hat Flucht erlebt, musste eine neue Heimat finden. Die Traumatisierungen meiner Eltern, der Kriegskinder, hatte Einfluss auf mein Leben. Zugehörigkeit war bei uns zuhause ein bedeutendes Thema: Besser nicht auffallen – es war sicherer sich anzupassen! Wir Kinder haben dann dagegen rebelliert, was ja auch eine Verstrickung ist. Seit einiger Zeit beschäftige ich mich intensiv mit dem Thema “Auswirkung von Traumata” und heilenden Wegen zu neuen Möglichkeiten. So kam die Anfrage gerade in einem passenden Moment. Ich bin zutiefst überzeugt, dass Gemeinschaft besondere, einzigartige Möglichkeiten eröffnet. Meine Rolle sehe ich als Gastgeberin, die dazu beiträgt, einen warmen geborgenen Ort zu schaffen, indem Lernen, Entwicklung, Heilung durch Begegnung möglich ist. Ich freue mich darauf deutsche Gastfreundschaft, so wie ich sie von meinen Vorfahrinnen erlebt und vermittelt bekommen habe, in diesen Tagen ins Leben zu bringen und auch für Empathie Runden zur Verfügung zu stehen. Ich bin Diane, ein Herzensanliegen von mir ist es, die Gewaltfreie Kommunikation in die Welt zu tragen. Ich mag die direkte Nähe in realen Workshops und Seminaren sehr, und sehe gleichzeitig auch, dass wir über das Internet sehr viel mehr Menschen erreichen. Um möglichst viele Menschen erreichen zu können (mir geht’s dabei um Wirksamkeit), beschäftige ich mich mit Marketing Strategien und Fundraising. Mit diesen Fähigkeiten unterstütze ich auch gern das IIT. Weil ich es für eine tolle Sache halte, um GFK in die Welt zu bringen und weil ich super gern in Teams zusammen arbeite, das erfüllt mir Gemeinschaft, Zugehörigkeit, Spaß, Bedeutsamkeit, Verbindung und Freude. The complete IIT costs consist of the seminar fees to be paid to the CNVC in Euro or Dollar and the accommodation costs (to be paid in Euro to the venue) – please use the appropriate registration form in each case. Scholarships: The due date for Scholarship Applications for this IIT is August 8th, 2019 (3 months prior to the start of the IIT.). Only one discount can be selected at a time per person. For people who live in a country of the European Union, there are EU funding programmes to promote further education. These support programmes are quite complex, so we don`t know all of them and recommend that you seek advice locally. You can`t claim this funding as an individual person, you need an organisation from your country that applies for funding. Erasmus plus promotes further training abroad under the heading “Key Action 1 – Learning Mobility of Individuals”. Mobility projects in adult education are organised teaching or learning stays abroad in Europe for educational staff. (also freelancer). The further education abroad is oriented towards the needs of the educational staff and the goals which the institution pursues with the mobility project. One participant at an IIT shared that his grandmother – after having herself experienced trauma during the second world war – had financed his IIT because it was important to her that people come together internationally and live together peacefully. Maybe you will also find support among your family and friends?! Perhaps you offer NVC workshops in your community, at your workplace, in your circle of friends….and finance a part of the IIT that way? Perchance it might also be possible to join the IIT as a representative of your NVC community and get financial support from them and then bring in your experiences from the IIT there. You will take home a large cornucopia with methods, ideas, contacts….. There are many possibilities – get creative! ANMERKUNG: Die Antragsfrist für Anträge auf Seminargebührenermäßigung für dieses IIT endet am 08.08.2019 (3 Monate vor Beginn des IITs.). Es kann jeweils nur ein Rabatt pro Person ausgewählt werden. Wir empfehlen dringend den Abschluss einer Seminar- und Reiserücktrittskostenversicherung. Für das IIT gibt es – genau so, wie für andere Bildungsveranstaltungen auch – die Möglichkeit, Zuschüsse von staatlichen Stellen zu bekommen. Dieser Text gibt Dir einen ersten Anhaltspunkt, welche davon für Dich in Frage kommen können. Wenn Du in Deutschland lebst und mindestens 15 Stunden pro Woche arbeitest oder in Elternzeit oder Pflegezeit bist und Dein zu versteuerndes Einkommen im Jahr nicht höher als 20.000 € ist (bei verheirateten Paaren 40.000 € zusammen), kannst Du die Bildungsprämie in Anspruch nehmen. Wichtig: Das zu versteuernde Einkommen findest Du in Deinem letzten Steuerbescheid. Der Betrag kann deutlich niedriger sein als das jährliche Bruttoeinkommen. Den Prämiengutschein bekommst Du bei einer Beratungsstelle und gibst ihn vor der Anmeldung bei uns ab. Wichtig ist, dass Dein Bildungsziel „Kommunikationstraining“ oder vergleichbares ist, also zum IIT passt. Die Höhe der Förderung beträgt 50% der Kursgebühren, jedoch maximal 500 €. Die Bundesländer verfügt über unterschiedliche Förderprogramme. Diese haben z.T. andere Einkommensgrenzen (den Bildungsscheck in Nordrhein Westfalen bekommt man z. B. bei einem Jahreseinkommen bis zu 40.000 €). Ebenso gibt es auch Förderprogramme für EmpfängerInnen von Arbeitslosengeld, für Jugendliche etc. Ein Teilnehmer auf einem IIT hat geteilt, dass seine Großmutter sein IIT finanziert hat, weil es ihr wichtig war, dass Menschen international zusammenkommen und friedlich miteinander leben, nachdem sie selbst durch den zweiten Wetkrieg traumatisiert wurde. Vielleicht findest auch Du Unterstützung im Familien- und Freundeskreis?! Vielleicht magst Du GFK Workshops anbieten in Deiner Gemeinde, an Deinem Arbeitsplatz, in Deinem Freundeskreis….und damit einen Teil des IIT finanzieren?! Vielleicht ist es möglich, dass Du als Vertreter*in Deiner GFK-Gemeinschaft zum IIT fährst und diese Dich finanziell unterstützt und Du dann Deine Erfahrungen vom IIT dort einbringst. Du wirst ein reichhaltigen Koffer mit Methoden, Ideen, Kontakten….mit nach Hause bringen. Es gibt viele Möglichkeiten – sei kreativ! The conference house is located in the beautiful nature of the Thüringer forrest. 1,75 h from Erfurt. 2 h from Nürnberg, Leipzig or Chemnitz. 2,5 h from Dresden. 3,5 h from Frankfurt, München, Berlin. Station Steinbach am Wald between Nürnberg and Erfurt. 2 h from Erfurt, Nürnberg. 3,5 h from Frankfurt, 4 h from Berlin. Participants are asked to wait until their registration in the IIT has been confirmed before booking travel reservations. 1,75 h von Erfurt. 2 h von Nürnberg, Leipzig oder Chemnitz. 2,5 h von Dresden. 3,5 h von Frankfurt, München, Berlin. Bahnhof Steinbach am Wald auf der Strecke Nürnberg-Erfurt. 2 h von Erfurt, Nürnberg. 3,5 h von Frankfurt, 4 h von Berlin. Die TeilnehmerInnen werden gebeten, mit der Reisebuchung zu warten, bis ihnen eine Anmeldebestätigung vorliegt. Please use the formular below for registration after your registration for the IIT has been confirmed. Zimmer-Varianten (inklusive Verpflegung) Die Unterkunft wird direkt an den Schieferpark bezahlt. Bitte verwende das folgende Formular für die Anmeldung, nachdem Deine Registrierung beim IIT bestätigt wurde. Your name in your native characters if other than Roman (Latin) letters: e.g. Kanji, Hebrew, Arabic,Cyrillic etc. This is the primary way we will communicate with you. Please use this international format: "county code - area code - phone number". ***Note: "Country Code" for USA and Canada is 1. ***Only one number is required. Adding other numbers, if you have them, is very helpful. If you speak a language not on the list above, please enter it here. Please note: If your request is diet-related, CNVC will try and see that accommodations are made, but please be prepared for the possibility of providing your own meals and/or dietary supplements. Accommodations for specific requests may be somewhat limited. CNVC tries to accommodate requests, but does not guarantee availability of any specific room type or roommate. Single occupancy 730,50 EUR/PersonDouble occupancy 634,50 EUR/PersonThree bed occupancy 598,50 EUR/PersonFour bed occupancy 580,50 EUR/Person. If you plan on commuting (not onsite stay), please tell us and e-mail to anja.ufermann@gmx.de. NOTE: There is a fee (400,50 EUR/Person) associated with the commuter option. Option 1: I do NOT want CNVC to enroll me.Option 2: I want CNVC to enroll me anyway, as long as I am assigned a room of equal or lesser cost.Option 3: I want CNVC to enroll me anyway. If the only option available is a room of higher cost, I agree to pay the higher charge. To be used for roommate assignments. If you select "Other" we will contact you for your roommate preference. Age: Please tell us your age. We use this information for roommate assignments. If you would like a specific roommate, enter their name here. We offer a shuttle service from the train station to the venue. Please choose if you want to use this service and inform Anja at anja.ufermann@gmx.de at the earliest possible time about when you will arrive at the station so that the shuttle can be organised. After sending your application, you will receive an invoice from the venue, please transfer money only after receipt of the invoice. Wenn Du eine Sprache sprichst, bitte schreibe sie hier auf. Wir bitten um Beachtung: Diätanforderungen versuchen wir gemeinsam mit dem Tagungshaus zu erfüllen. Bitte richte Dich darauf ein, Dir selber manche Zutat und manche Diätergänzung mitzunehmen. Die Möglichkeiten des Tagungshauses sind beschränkt. Wenn Du nicht im Haus übernachten möchtest, ist das in Ausnahmefällen möglich. Bitte schreibe uns das im voraus an anja.ufermann@gmx.de. Achtung: Auch bei Übernachtung außerhalb des Seminarhauses entstehen Hauskosten von 400,50 EUR/Person. Option 1: Ich möchte in diesem Fall nicht teilnehmen.Option 2: Ich möchte teilnehmen, solange mein Zimmer gleich viel oder weniger kostet.Option 3: Ich möchte in jedem Fall teilnehmen. Wenn die einzige Möglichkeit ist, ein Zimmer zu nehmen, das mehr kostet, bin ich mit den höheren Kosten einverstanden. Wenn Du „anderes“ ausgewählt hast, werden wir Kontakt mit Dir aufnehmen, wenn es für die Zimmerbelegung wichtig ist. Alter:* Diese Information brauchen wir ebenfalls für die Zimmerbelegung. Wir bieten einen Shuttle Service vom Bahnhof zum Seminarhaus an. Bitte wähle aus, ob Du einen solchen in Anspruch nehmen möchtest und informiere Anja unter anja.ufermann@gmx.de zum frühestestmöglichen Zeitpunkt, wann Du am Bahnhof ankommst, damit der Shuttle organisiert werden kann.